BEAUTIFUL COLLECTION OF COLORS:We want to provide you with everything you need to create amazing art and we know that a dozen of colors is never enough! 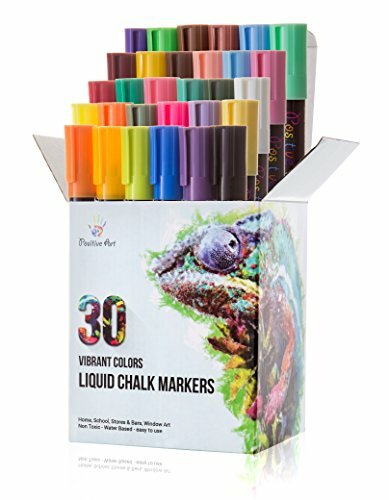 This is why we offer you a collection of 30 unique liquid chalk markers that have vivid colors of every shade you’ll need! 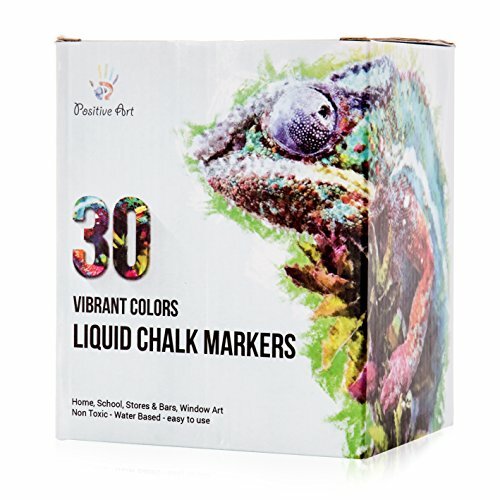 The liquid chalk markers will give your art a chalk-like effect whilebeing so much more vibrant! Then the Positive Art liquid chalk markers set is exactly what you’ve been looking for! The world isn’t just blue, red, and yellow, so why should your paintings be? The liquid chalk markers are very easy to clean. All you have to do is wipe your painted surface and you’re good to go! ORDER WITH CONFIDENCE:Your satisfaction is our number one priority and this is why we strive to provide you with only the best quality products and serviceevery time. 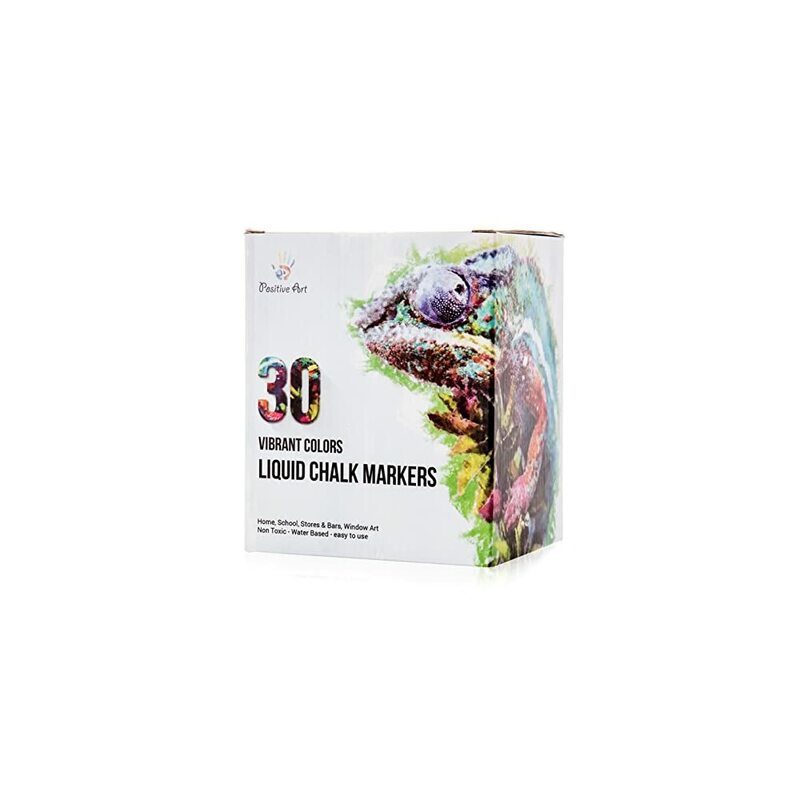 If for any reason you are not completely satisfiedwith our liquid chalk marker set, we will give you a full refund -no questions asked! Just let us know, we’ll be happy to help youout! Couldn’t be happier with the product. These are great chalk markers. They write smoothly and have good colors. My daughter use them to decorate the car and house windows for special events. They work very well and wash off clean.